Who partnered with Intacct recently? 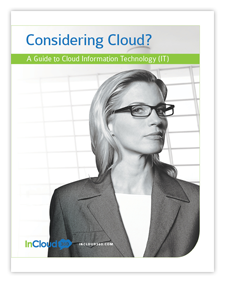 What does it mean for your move to the cloud? How can you learn more about integrations with other solutions? American Express Corporate Payments and Intacct Simplify and Automate Check Delivery: The Intacct Check Delivery Service will enable businesses to send check payments to suppliers and have their general ledger automatically updated – all with a click of a button. *Additional card- and non-card payment solutions from American Express and Intacct will be coming soon. * The American Express and Intacct partnership will reduce the costs of payment processing and provide customers with an integrated user experience, as well as drive operational efficiency through streamlined workflow, reduced payment processing errors, and automated updating of the general ledger. Full Functionality of Intacct Collaborate Demonstrated: Announced at Dreamforce in October, Intacct Collaborate allows organizations to cut the clutter of email between departments and speed up the decision making process. Intacct Collaborate embeds Salesforce Chatter, the leading enterprise social network, into Intacct to create a secure social layer across all finance processes and across devices through the Salesforce1 Mobile Application. Intacct Collaborate is part of Intacct’s core financial management system and is free for all Intacct customers, including those that don’t currently use Salesforce applications. For more information on Intacct’s growth, join our mailing list. 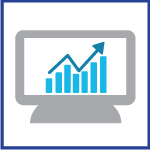 To experience Intacct’s continually improving software, contact us today.